It’s leap year! 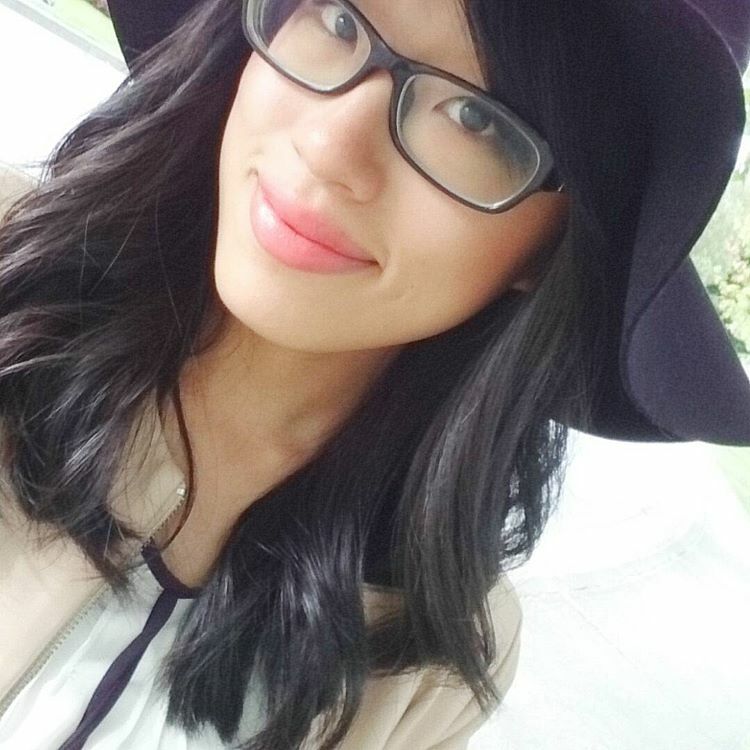 Stores are having sales and promotions to celebrate this once-every-four-years-day. 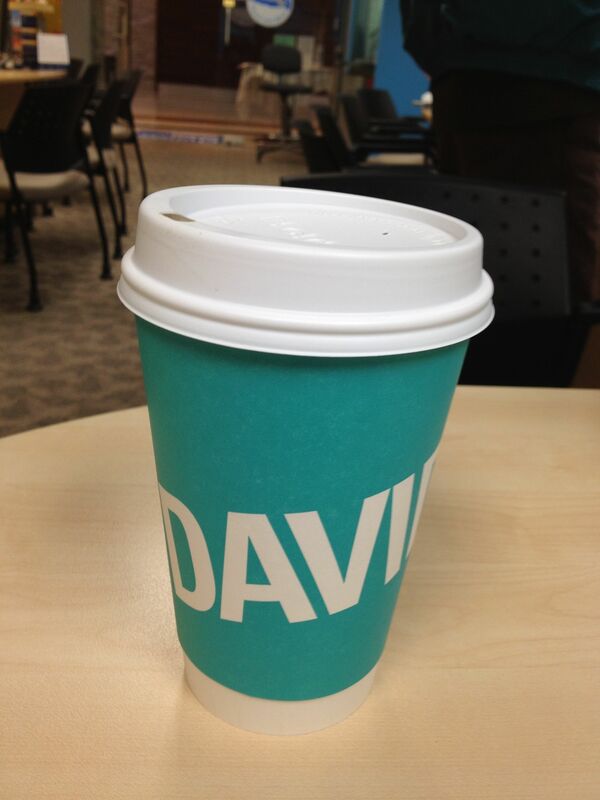 Today I stopped by DAVIDsTEA at Oakridge Mall for a FREE large cup of their tea. I have been into the store before and had samples of their tea and it was very lovely. However, I have never bought anything yet since it’s quite expensive for tea. 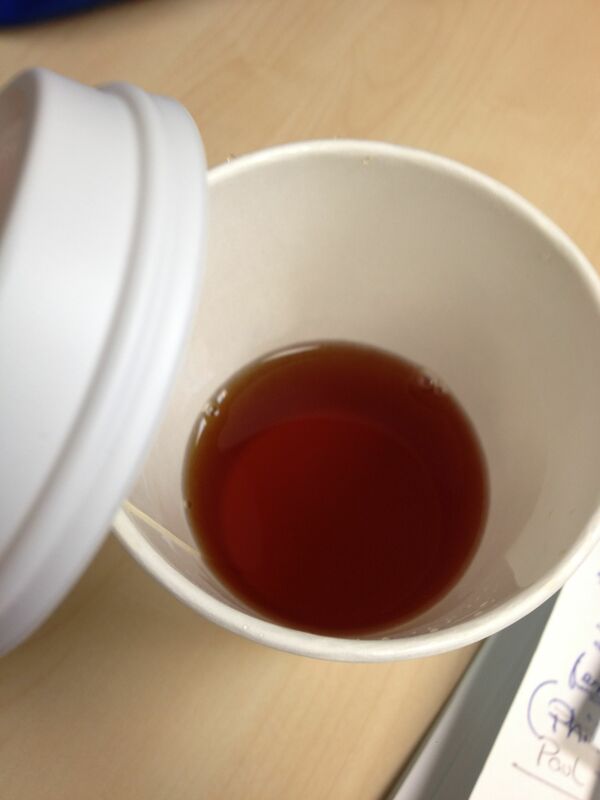 This is an organic tea and it has a lot of health benefits! I, however, enjoy a variety of teas, and this one was a bit different from what I usually drink, nevertheless, it was enjoyable. (Anything free is enjoyable to me though.) There is a subtle flavour of spices in the drink mixed with an aroma of the sweetness of chocolate. I also liked the design of their cup! It’s very solid and sturdy. You don’t need a sleeve for the cup, because the cup itself has a extra layer of paper wrapping around it.I also like the color of it, so 5/5 for aesthetics! I think if I were to drink this at home, a bit of milk should be mixed in to soften the tea. 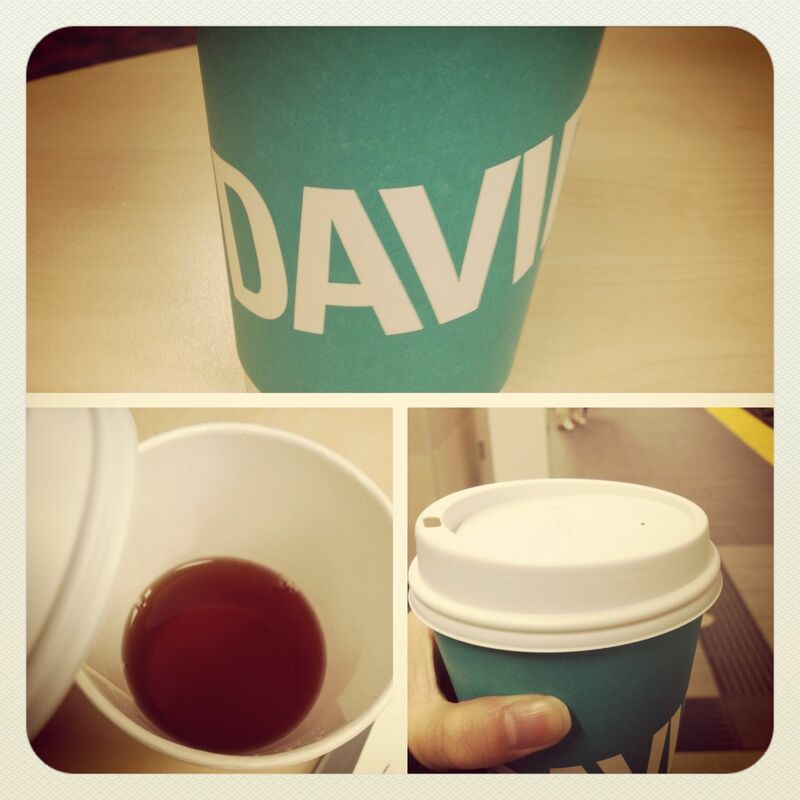 Overall, I enjoyed it and I will definitely go back to DAVIDsTEA to try their other flavours. 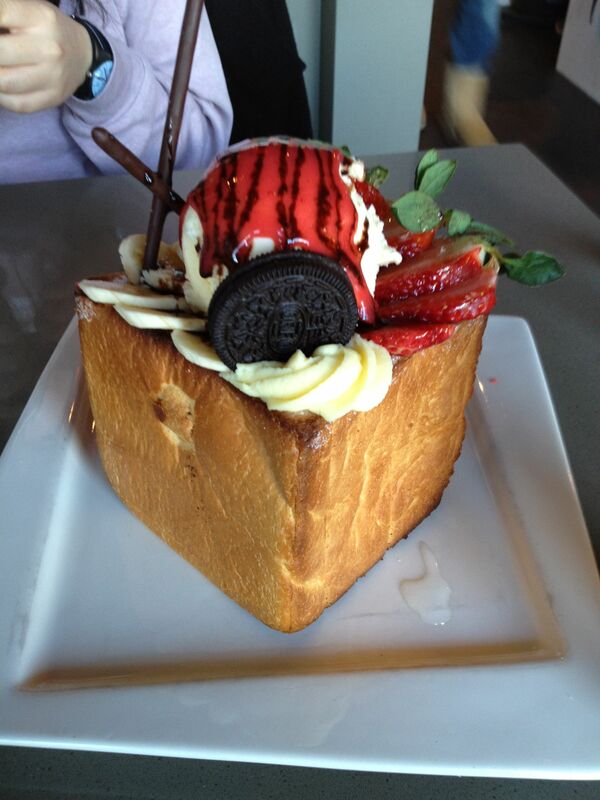 Honey Toast Box @ What8ver Cafe! Today my friend and I finally made time for What8ver Cafe! Hidden at Union Square near Richmond Sushi, is a very small cafe with 5-6 tables. It is a Taiwanese cafe and it’s similar to other places like Pearl Castle, Well Tea, Bubble World- it sells bubble tea, snacks, and small meals. We made a reservation just in case and we were seated on time. 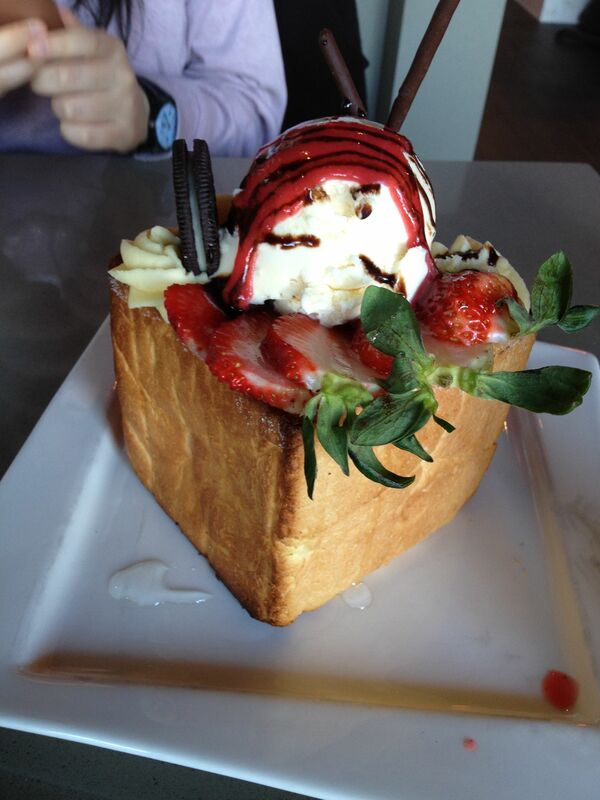 We hunted down What8ver Cafe to try their Toast Box! It’s not on the menu, so you have to ask for it. It costs $7.99. 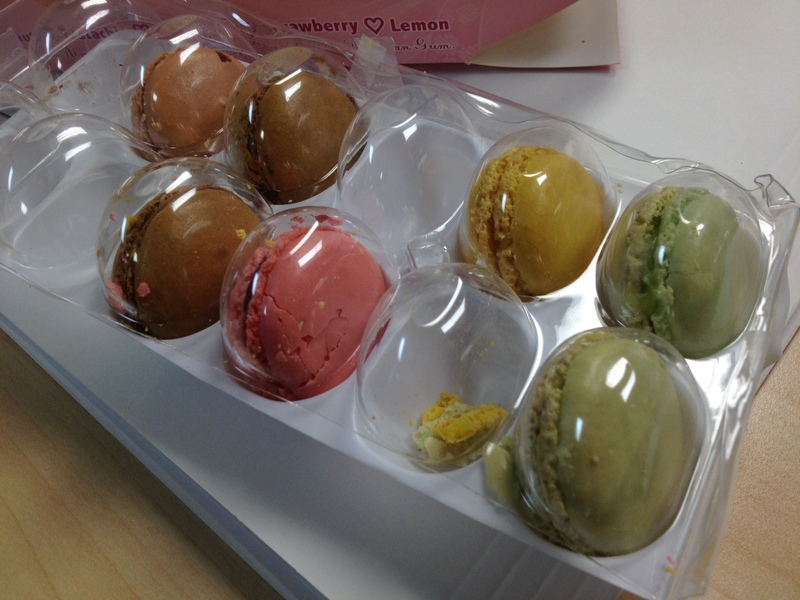 There are three flavours- original (honey), strawberry, and matcha. We opted for the original one since it’s our first time. It’s a huge box of toast, and shared it between my friend and there were still some left over. On the topping is strawberries, whipped cream, bananas, pocky, an oreo cookie, and a scoop of frozen ice cream with strawberry glaze. It took a while for it to arrive since it takes a while for it to prepare- and judging by the pictures, no wonder they need time to make it! Sorry for not eating elegantly. The slices of toast was really yummy when mixed with ice cream and strawberry. I stayed away from the banana slices – not my thing with desserts and toast. It is quite sweet, since there was a lot of honey and sugar coating all over the meal. 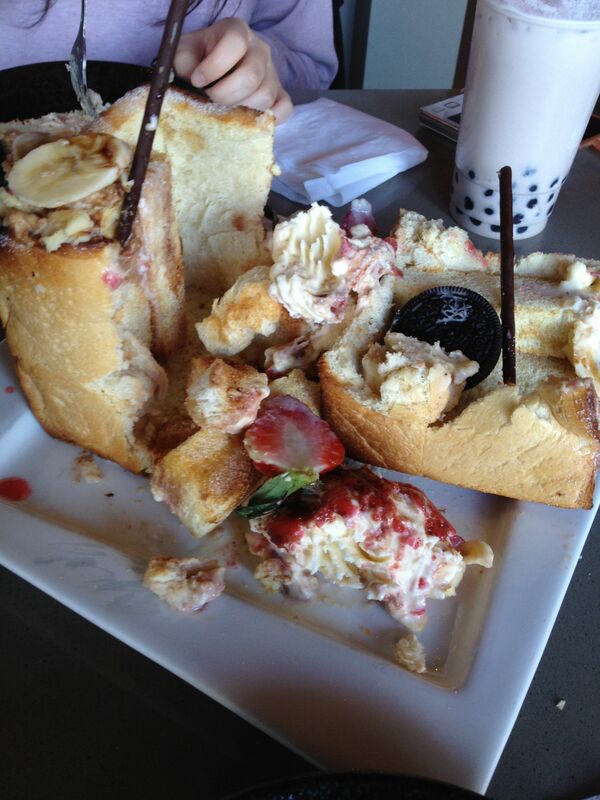 I looked over at the other table where two other girls were also struggling on how to eat their toast box. We stared at them while cutting and they stared at us. The toast box was a bit burnt at one bottom corner- but we couldn’t even finish it between two people so that was okay. The crust was crunchy and hard to cut, the inside was soft and sweet. 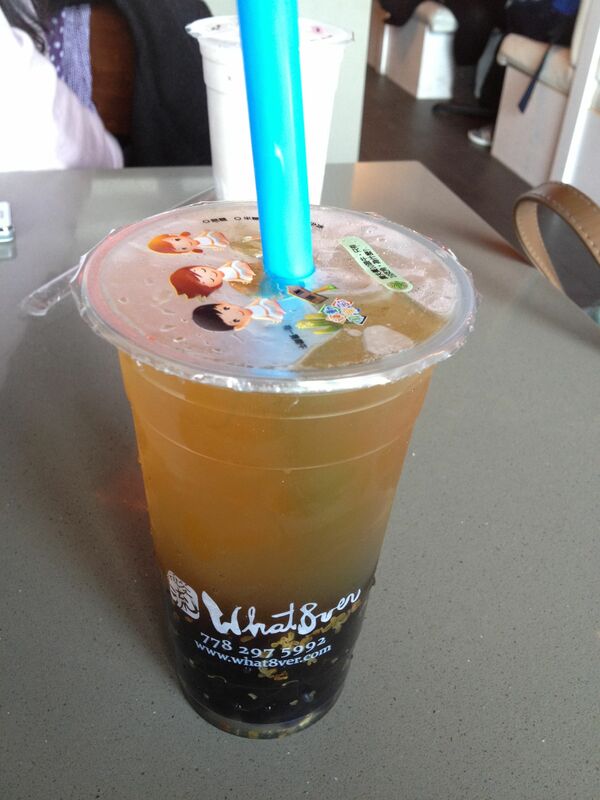 Overall, it was a good first experience and I would love to try the other two flavours when I go back. I only had osmanthus flower in those asian jelly desserts with longan. This was my first time having it as a drink. It was quite tasty, not too sweet, and it smelt good. You can see the flower petals in the drink. My drink costed $3.75 + $0.50 for pearls. The food was good and all, but their lack of customer service is worth noting. There were two people at the bubble tea station, and they didn’t see our table + another table with our hands up waving, wanting to order. We probably waited for 10 minutes for them to actually come around and ask what we wanted. Which was weird, since it wasn’t busy and all the other tables were already eating. I will return again so I can try the other toast box flavours! If you ever try it out, be sure to make a reservation before hand!! Coming back from UBC late today, I was hungry and decided to try Take 5 Cafe at Richmond Centre Mall today. I’ve only had their drinks before and gelato. Their mango frappe and cafe mocha is extremely delicious. The person who worked there heated it up for us. At first glance, the tub of pasta didn’t look like there was enough. But when you scoop to the bottom, there were several giant pieces of fried chicken. The pasta and the sauce was tasty. However, the cheese was parmesan powder, and I usually like my cheese stringy and melted. 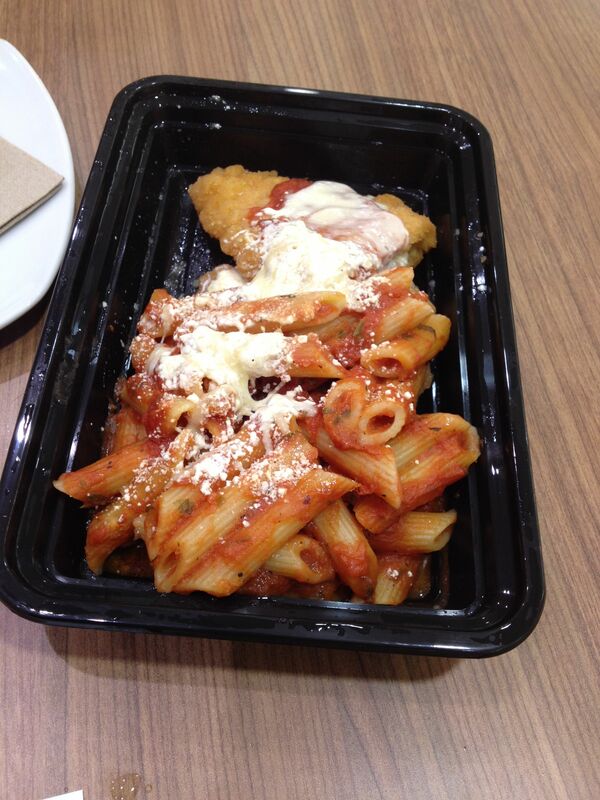 I had to dip my chicken in the pasta sauce to taste the yumminess of it, otherwise it would be like normal, frozen chicken. Of course, it wasn’t enough to feed two, but I think for one person, it is a decent size. I do think it’s a tad expensive. Other pasta places (such as at UBC) is cheaper. 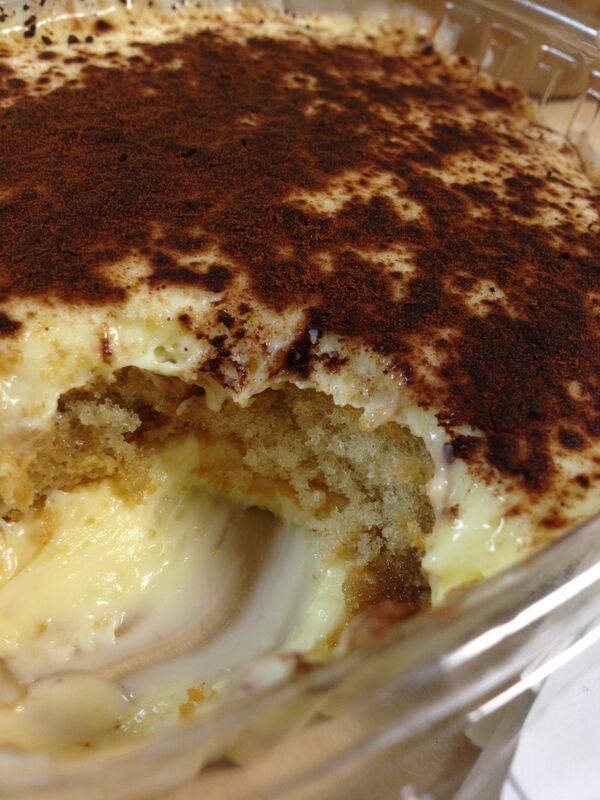 I always love a good dessert and tiramisu is always at the top of my list. I was craving something sweet so I got this as well. 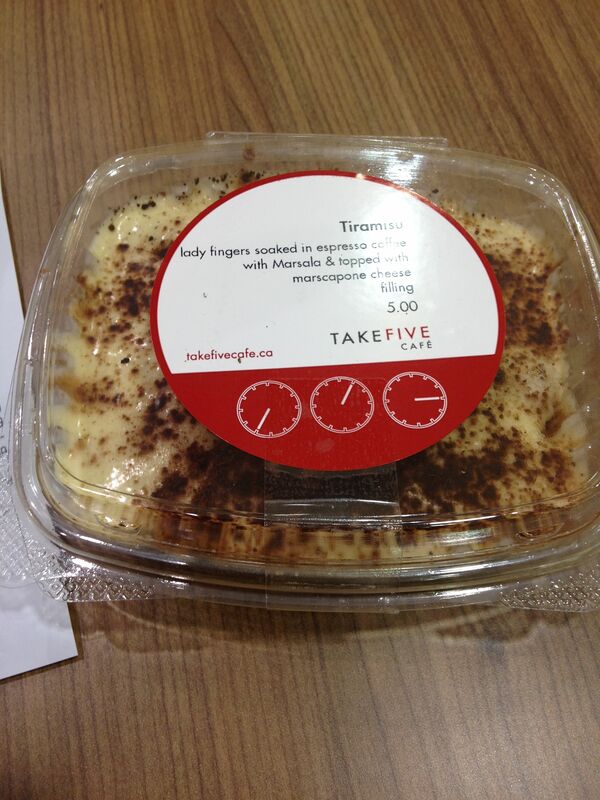 Take 5’s tiramisu had the right amount of sweetness, but there was more marscapone than the cake. I enjoyed the cake part if the tiramisu, but the marscapone was okay for me, it felt like I was biting into sweet cheese instead of tasting all layers if the cake combined. I also like my tiramisu coated with chocolate powder, so I was sad they didn’t coat the whole topping. I recommend the tiramisu from Anna’s Cake House at Lansdowne Centre. Because my mom worked in the mall, we got a 10% discount! The total came to $13.09.